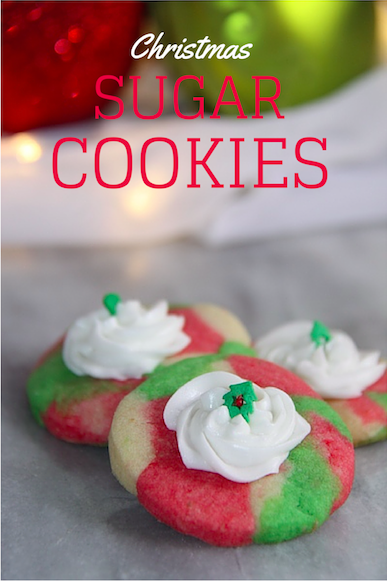 You can make your favorite sugar cookie recipe and dress them up for christmas. 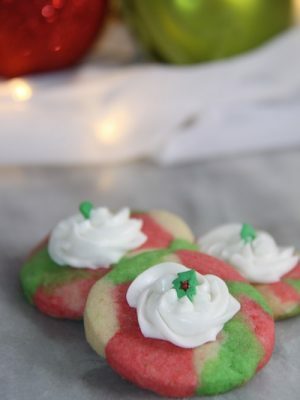 These are great for holiday parties or cookie exchanges. Super festive and fun! 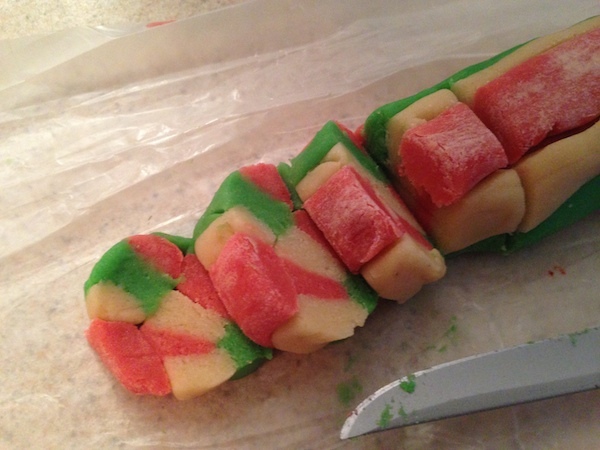 Once you have your sugar cookie dough, divide equally into three sections. 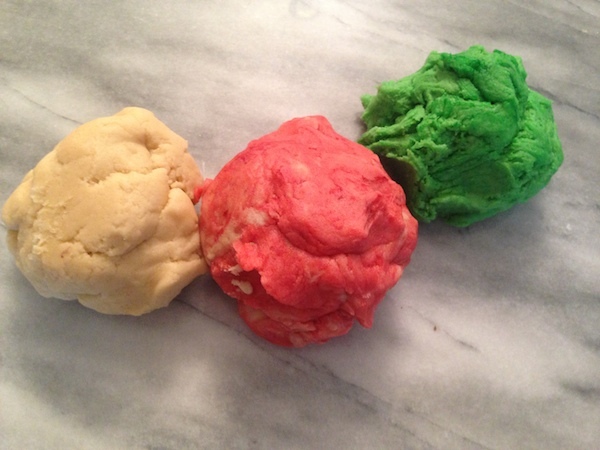 Add food coloring to dough (I used green and red). Now divide each color into four separate balls. You should end up with twelve balls of dough (4 of each color). 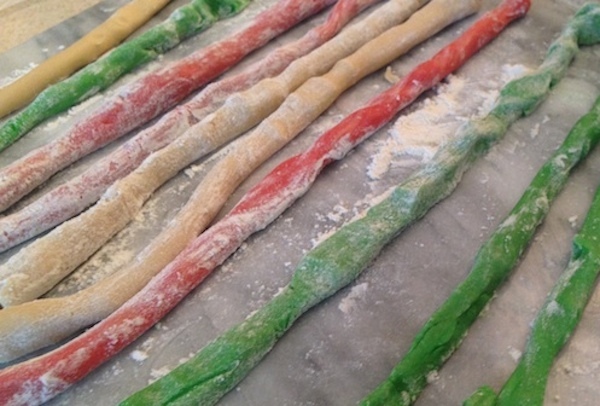 With limited amount of flour, roll out dough into long strips about 12 inches long. 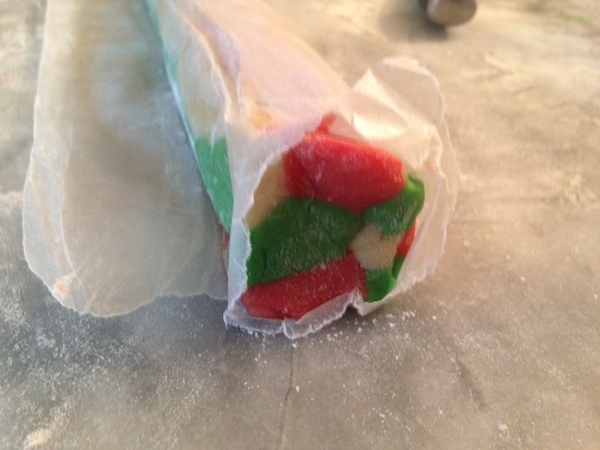 With a sheet of wax paper start to add dough strips together to make a round log. 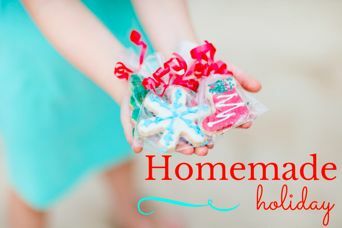 Roll up into wax paper, press together to mold all the colors together. Refrigerate for 1 hour. Keep in mind, if you use too much flour when rolling out, the colors will not merge very well. Enjoy as is or top with a little bit frosting and sprinkles.